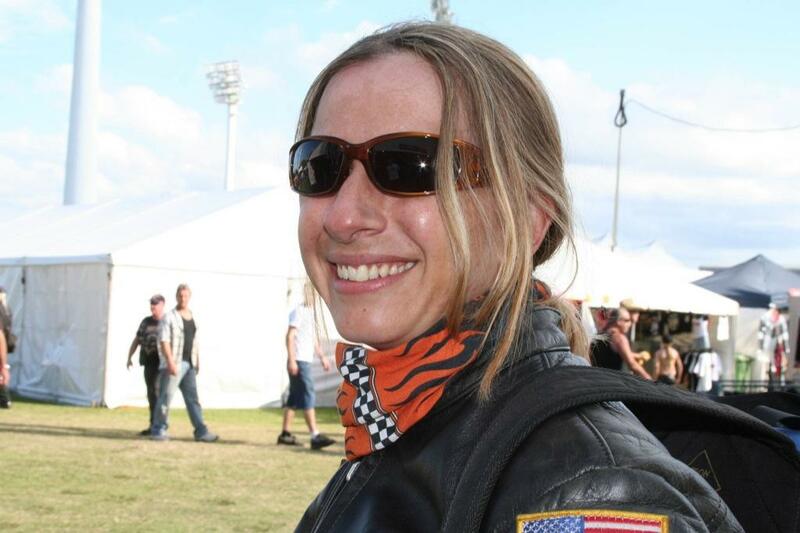 We met Cat in 2004 at the Morgan & Wacker Harley dealership in Brisbane. She was working there and couldn’t wait to give Buff® a try. We learned that she works as a Postie Biker, as motorcycle trainer and loves motorcycle drag racing on weekends. She really wears a helmet most of the time. Her excitement gets us with Buff® into the accessory sections of Morgan & Wacker and we get an invitation to show Buff® at the next Gold Coast Bike Week. The rest is Buff® history and we will always be grateful for Cat just giving Buff® a try. Unfortunately we lost contact to her. So Cat if you read this. Would be great to catch up with you again.